Growing in popularity thanks to their frequent reoccurrence in Critical Role’s second campaign, the race of gentle fey giants appearing in Volo’s Guide to Monsters are forest-dwelling wardens and guardians, living peacefully and quietly with nature until situation demands that they act to protect their sworn homes. Despite their incredible size, they are more adept in matters of stealth and ambuscade, and are better fit to silently exterminate interlopers in the night than to assault them head-on. A quick review of firbolgs as they appear in Volo’s, they’re tough to fit into an adventuring party without some heavy modifications to narrative: they abhor greed, prefer not to leave their homes, and are generally peaceful and slow to resort to violence. They also utterly lack a physical description, but general opinion seems to lean more toward hints of the bovine, hircine, or cervine elements mixed into an oversized humanoid body. Right, where were we? Travelling companions eleven through twenty. Here’s one through ten if you missed them. A three-way tie between the choices: three dragons, three NPCs, and three extra-planar threats. This can only mean one thing. You get one of each. Any given group of players – when presented with a marketplace or new town – will ask for some fairly predictable things; blacksmiths, magic items, herbalists and alchemists, spell components (if you as a DM insist on such things) and some kind of transport like a horse and cart. But can you pull their eye with something else? Can you present them with something new, and memorable? Have you ever sat through a game and you just happened to come across what you feel is the most worthless NPC of all time? I mean it’s not to say they have no purpose, nor are they useless, but they’re just absolutely worthless. I mean do you even know his or her name? Is it a damn dog? What’s the point of it!? Just to cause us endless frustration, or just to be there? This week in our Top 10, we’re joined by Phil from 1001-Up as we run through our Top 10 Worthless NPCs in gaming. You are sent on a quest to go and find Mankrik’s wife. This is a simple quest and of course you’re emotionally invested in this quest because this is someone’s loved one. Horde or Alliance, it doesn’t matter: Love is love. 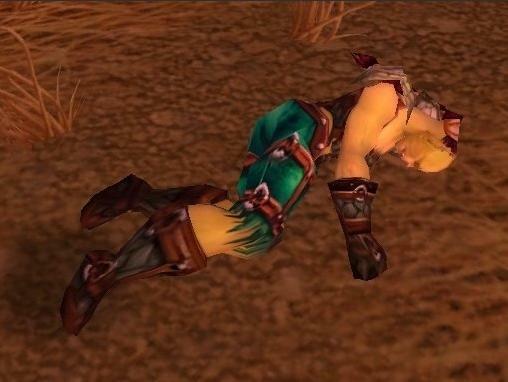 This quest is exclusively for Horde who adventure around The Barrens area, also infamous for Barrens chat… But that’s a story for another day. No, instead you’re sent to find someone’s loved one and… Oh. She’s already dead. 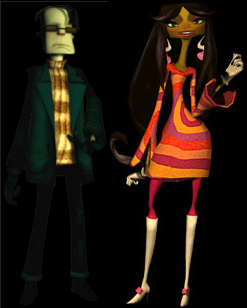 What was her name? Oh yeah, Mankrik’s Wife. If you forced me to come up with a reason why Grand Theft Auto pedestrians were worth anything it would be to gain wanted stars. They do have their entertainment value with their crazy catchphrases and peculiar habits but other than that they only serve to ruin your success on a job by orbiting your vehicle on a suicide mission. In more recent versions of the Grand Theft Auto series they now have the ability to call the police if they spot the player getting up to no good which simply wastes everybody’s time by having to run them over. What to say on the subject of Treavor Pendleton? Well let’s start with the fact that he’s so damn memorable I had to google him to remember exactly who he was. The entirety of his story input was to ask Corvo (the main character) to kill his brothers, and then to stand around getting drunk. Just constantly swilling whiskey and wandering around moping. Correction, he does do something else. He functions as a sounding board for other NPCs to talk to about things you need to hear (or overhear). Without him there they’d have very few choices, and Trev just loves to talk. He loves to talk to you… even when you’re clearly trying to get past him. Now we are just wrong to include this old man, we hear you say. He teaches you about catching Pokemon as well as helping you unlock the secret glitches of the game. How could anyone possibly call him worthless?! Because he spends ages at the beginning of the game begging to have coffee, before he will let you pass (with no rhyme or reason!) He then not only lets you pass after a certain point in the game, he teaches you how to catch Pokemon. Meanwhile, you’re sat there with a full party of 6 Pokemon in your bag. Um, Old Man, are you feeling okay? 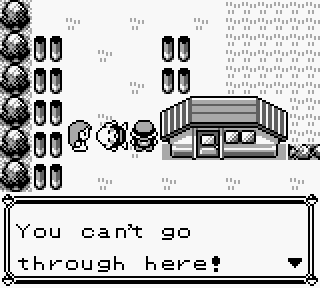 Well let me go and fly to Cinnabar Island now to get away from you… Oh gosh what have you done to my game!? 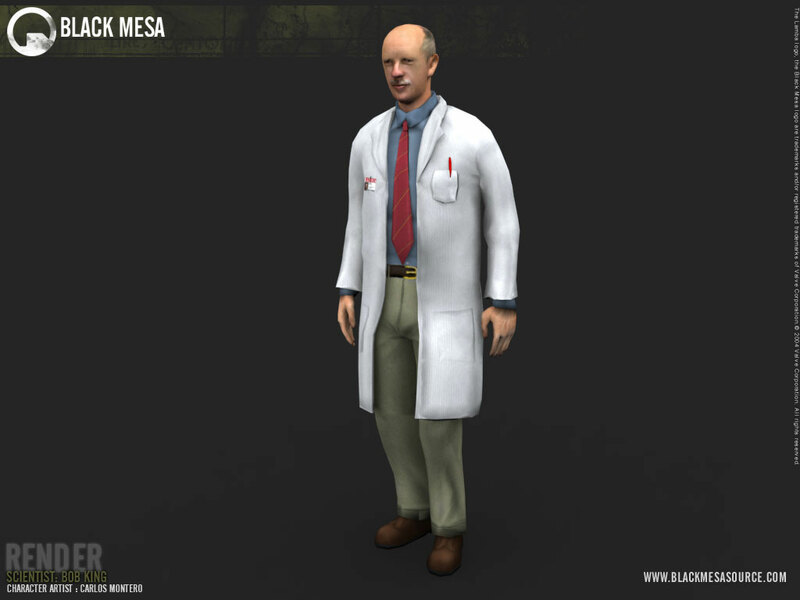 The overwhelming majority of population in the Black Mesa facility were scientists and until the fatal day of the resonance cascade arrived. Until this point they were extremely worthwhile NPCs carrying out their daily research activities for the greater good. Once hell literally broke loose their worth plummeted to zero, just like their health levels, as they became headcrab fodder. Sure, there may have been one or two that helped open doors but even if they were dead Gordon would only need to drag their corpses over to the eye scanner to continue serving their purpose. Thanks, Error. Just thanks. Nothing else to add? I mean is your name symbolic of who you are? An error within the game? Error!? Want to add something to the mix?! 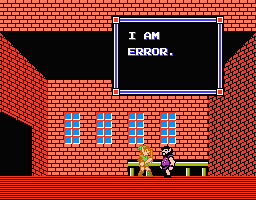 Yes, he’s in arguably one of the most frustrating video games of all time and he just has to tell you that he is Error. What a worthless NPC. Do I even have to say anything? Look at that stupid grin! How many of you tried to shoot the dog? I know it’s a terrible thing to do and you shouldn’t want to shoot a dog, but dammit that thing is so smug! He contributes nothing to the game except to bounce around snatching up your ducks! And laughing when you fail. This fan is so useless that he serves two major functions: Follow. Wait. That’s basically it. True to an adoring fan though, he offers useless quibble in the form of offering back-rubs, boot polishing and more. Add to this the Adoring Fans horrible sense of hair fashion and that he doesn’t even give your character said back rubs or boot polishes… Adoring Fan, you are worthless. Time to hit you off the highest cliff in Oblivion. … Stop running back up the hill when I hit you off. Also known as Winston Smith, Lara’s butler is painfully remembered by Tomb Raider fans as not only being utterly worthless in-game but also a complete pain in the backside as he stalked our favourite Tomb Raider around the house. Most players will remember the feeling of dread as he slowly hunts Lara while groaning about his backache and his rattling tea tray, some zombie games could learn a lot of from the Croft Manor level in Tomb Raider II. If you ever mention Lara’s butler to a Tomb Raider fan they will immediately tell you stories about how they locked him in the freezer not for fun but just to get rid of him – if that’s not the definition of the most worthless NPC ever then I don’t know what is. These next two deserved to be noticed for their worthless endeavours. They don’t quite make the cut for our Top 10, but let’s be honest: It doesn’t make it any better that they have been recognised as worthless in some way, shape or form! You would think that having a trader in the game wouldn’t ever really make a Top 10 most Worthless NPCs list… but think about this from the point of view of a frustrated zombie killer such as Kevo the Chav. This trader makes snarky remarks about people not being Frank Bruno if they can’t carry something. She laughs at players pitiful attempts to buy zombie killing devices from her if they’re too poor. She doesn’t stay in one location. She has a plethora of weapons and just keeps herself locked away so no zombies can get to her. She could literally just give all of the guys and girls a weapon to stop the zeds and still have enough weapons to sell afterwards. Seriously, Unreal Tournament is super memorable because of its high-paced action and it’s awesomely voice-acted announcers. However, this doesn’t make them worth a damn penny. They’re just there. But at least they make themselves known with their constantly expressive voices. M-M-M-M-MONSTER KILL. Oh but what about the Administrator in Team Fortress 2? Effectively worthless. She gives you sass and snark like there’s no tomorrow. Don’t even get me started with you three, JBL, Michael Cole and Jerry “the King” Lawler! But the games are made better with your presence, announcers. You’re worthless, but you’re our favourite kind of worthless: the worthless that adds feeling. Keep it worthless, voices! That’s all for our Top 10 today. 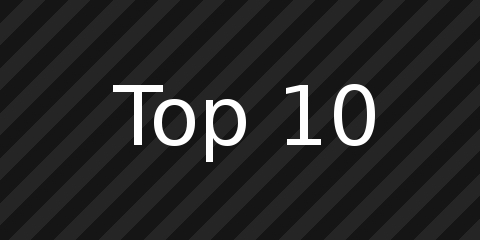 If you have any suggestions for a future Top 10, then do let us know as we are all ears. 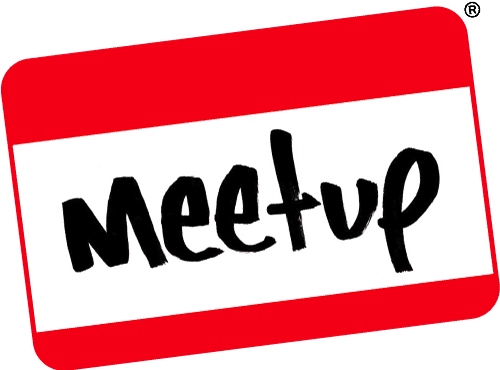 Also, if you want to get involved, just let us know! We’d love to have more guests such as Phil today. 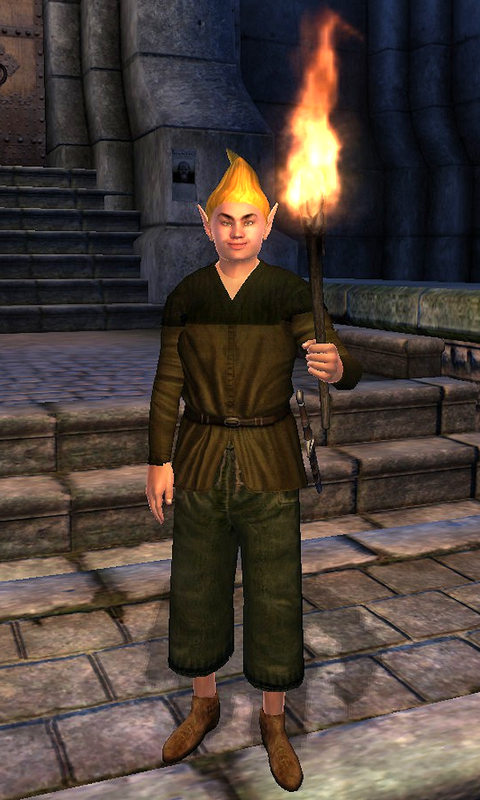 What did you think of our decision of our Top 10 Worthless NPCs in gaming? We figured these ones were pretty worthless, but I bet you all know one that deserves at least a mention. Did we get our order around the right direction? Let us know in the comments below!